(SPOILERS) Unlike his soporific brother, Best Actor Oscar winner Casey Affleck doesn’t really suit playing normal people. Or especially likeable people, come to that. 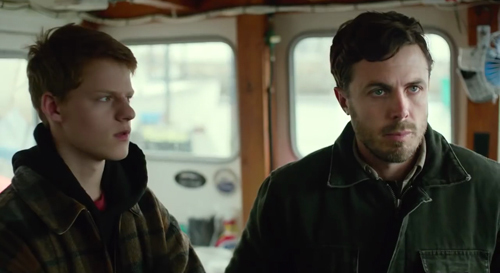 He isn’t an actor you tend to feel much in the way of empathy for, which makes his performance in Manchester by the Sea all the more impressive. Lee Chandler’s is entirely shutdown, his emotional facility so deeply buried that he can no longer connect to it. Does that mean Affleck deserved the win? Aside from Brie Larson being unconvinced? In terms of the art, sure (as to whether the allegations against him should have seen him excommunicated, à la the now-welcomed-back-into-the-fold Mel, the Dolby Theatre would be pretty empty if every insalubrious Hollywood type was held to account). But he’s drawing as much on his own natural performance disposition towards the interior as Denzel (the other main contender) is towards stagecraft in Fences, so you can pick and choose. They’re different ends of the scale (some might say, designed for different mediums, which might be the rub). I can’t imagine Matt Damon, who originally had the part lined up, being as appropriate to the place Lee finds himself in. Although, conversely, he’d be more at home with the domestic (not quite) bliss of the earlier, more contented times we see in flashbacks. Notably, the premise was Damon and John Krasinski’s, pitched to director Kenneth Lonergan to write for Damon to direct as his debut. 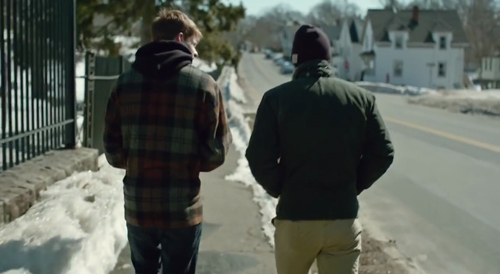 Manchester by the Sea’s a slow-burn, which is evidently the way Lonergan likes it, but he’s careful to install a fully-functioning motor propelling the mostly low-key dramatics; like an earlier Oscar winner (albeit, much less melodramatically), Ordinary People, Manchester carries with it a pertinent mystery (at least, during the first half of its running time). Namely, what it is that led to Lee’s current withdrawn status. When we first meet him, he’s taciturn in the extreme, abrasive (but quite funny with it) towards the tenants he fixes plumbing for, resistant to emotional contact but prone to bouts of violence. Various possibilities propose themselves: that he may be on meds, may be repressing his sexuality, may simply be emotionally stunted. 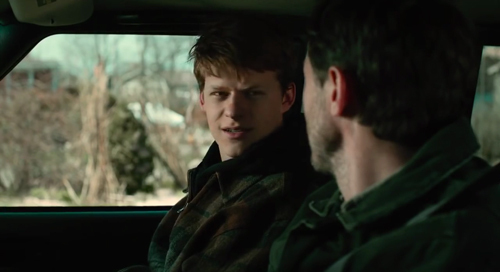 It’s only through the refraction of his interaction with nephew Patrick (Lucas Hedges), whom Lee moves in with when his brother Kyle Chandler (playing Joe Chandler – I guess it would have been plain mean to turn him down at audition) dies, that we begin to receive insights in Lee’s inner turmoil. The relationship also enables Lee to inhabit a more mature position, one that Affleck, despite being in his 40s, doesn’t naturally give off. 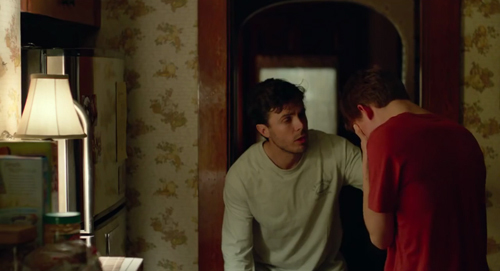 The pulse of many scenes is his verbal sparring with Hedges (also deservedly Oscar nominated, and previously very impressive in the underseen The Zero Theorem), introduced in an altercation on the hockey ice but who, rather than being an angry young man, is shown revealed as sensitive and more comprehending than many of his elders. There’s a continual tension between Lee’s reluctance to inhabit a parental role and his desire to do right by his nephew. It isn’t simply the pull of responsibility; it’s the ghosts of the past in his home town that claw at his stoic exterior. 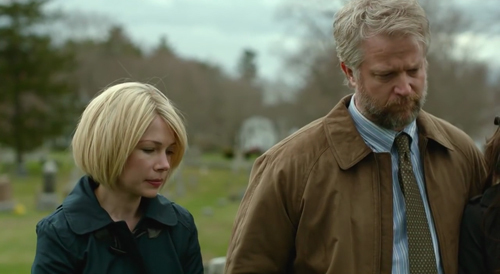 Lee never actually gives voice to what has happened, a masterstroke on Lonergan’s part. As much as he can ever say is “I can’t beat it” to his nephew, who being an empathic guy, doesn’t need to push it further. The picture’s pivotal scene finds Lee bumping into his ex, Randi (Michelle Williams), on the street, she desiring to express regret for all the things she said to him, and he simply unable to go to a place where he can broach the subject. Both actors are outstanding here, but Williams is particularly extraordinary, and it’s abundantly clear why she deserved her Best Supporting Actress nomination; it’s in the Anthony Hopkins class of limited screen time having an enormous impact. CJ Wilson also deserves mention as best friend George, a rock in a sea of distress, as does Gretchen Mol as the mentally-on-a-knife-edge mother of Patrick, and Broderick as her Jesus freak fiancé. 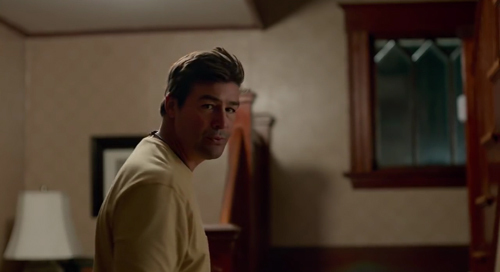 The scene where Patrick attends a reunion dinner with his estranged ma is superbly pitched in its palpable awkwardness. There’s also the occasional choice I wasn’t entirely sure about. Lonergan indulges liberal helpings of classical music on the soundtrack, most of which work to underline the picture’s canvas (small in setting but dealing with the biggest themes), but comes perilously close to distractingly overbearing in the use of Adagio in G Minor by Albinoni for the replay of the fateful evening, as it has become almost a cliché for tragedy by this point. 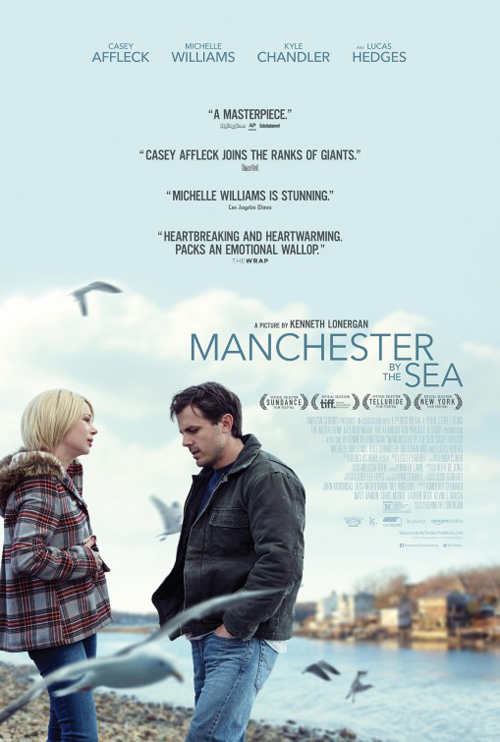 It’s heartening to see that Manchester by the Sea has performed so well, a picture eschewing easy narrative strokes or a cathartic ending, and it’s to Amazon Studios’ credit (Amazon had to come up trumps somewhere artistically eventually, if they threw enough money that way, I guess) that they’re investing so consistently in filmmakers the big studios aren’t offering a look-in, from Whit Stillman to Nicholas Winding Refn, to Woody Allen, Jocelyn Moorhouse, Park Chan-wook, Jim Jarmusch, Todd Haynes and (yes!) Terry Gilliam. For Amazon, it’s probably enough that they can now boast access to awards ceremonies, even if the picture was pushed out of most top laurels by showier contenders. 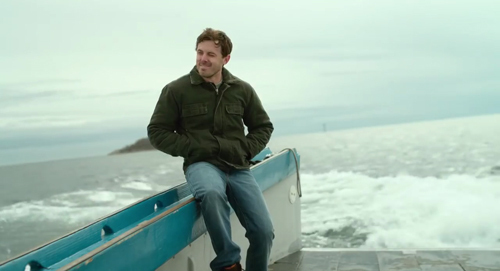 One thing they got dead right, though; debate may rage about the appropriate of Affleck winning, but it’s hard to argue that Manchester by the Sea didn’t fully deserve the Best Original Screenplay Oscar.